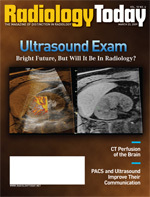 Despite DICOM advances, ultrasound still presents some challenges for PACS. With the ever-increasing volume of ultrasound studies performed in a wide range of healthcare facilities, the ability to easily store and retrieve data helps radiologists and other physicians maintain an increased workflow while providing accurate diagnoses and quality of care for their patients. What can facilities do to make sure their ultrasound modalities and PACS communicate well, and what solutions are available to increase interoperability? In the mid-1980s, early PACS development started, with limited availability of standards for exchanging imaging data between modalities and PACS. Henri Primo, strategic relations manager for Siemens’ Image and Knowledge Management Division, explains that, at the time, ultrasound units weren’t developed with any consideration for DICOM standards. In 1994, the publication of the DICOM 3.0 standard resulted in a major improvement. “Communication between PACS and modalities was now enabled by this standard, using Ethernet and the TCP/IP protocol. However, ultrasound modalities didn’t yet incorporate DICOM and digital output. It wasn’t until later that ultrasound manufacturers began to implement the DICOM standard in their products. Soon, improvements and new additions were added, first addressing 2D then 3D, 4D, and color data sets,” says Primo. When Doppler ultrasound was introduced, the need for dynamic display of the images as cine clips became apparent. However, many PACS didn’t have dynamic display capability and could only store static images. To illustrate, with an ultrasound-capable PACS, a technologist scans and acquires the image directly to PACS. At the same time, the PACS allows a radiologist to watch the exam in progress. As soon as the specific image information needed by the radiologist is acquired, the exam can stop, or the radiologist can instruct the technologist to acquire a different scan for a different view. “It’s a closed loop between the radiologist and the tech. As such, the information content of the ultrasound scan is optimized and exam time is reduced,” says Primo. Another advantage is the ease of comparison between new and previous scans. A radiologist reviewing imaging exams can also access previous reports and images to assess changes in a patient’s condition over time. This results in improved quality of the diagnostic process and improved productivity. Even with the advances in ultrasound and PACS technology, Primo notes that many PACS don’t necessarily have all the needed functionality for ultrasound exam interpretations. “The ultrasound imaging data can be used to provide quantification of blood flow and anatomic measurements, which are an important aspect of the diagnostic process. As such, the ultrasound PACS should support this functionality. Often, hospitals will have a general PACS for all modalities but ultrasound and a PACS dedicated to ultrasound. Having interoperability between those two systems will assist the radiologist or specialist in viewing images from different imaging modalities like CT, MR, and DR, which again will improve productivity and quality of care,” says Primo. Bert Verdonck, PhD, director of marketing of clinical informatics and oncology care for Philips Healthcare, and Jeff Taylor, senior North American marketing manager for Xcelera, Philips’ cardiovascular PACS, agree that interoperability is an important issue. To illustrate, they underline the differences between interoperability for general radiology and cardiovascular PACS and the importance of how interoperability creates improved efficiencies and workflow. “The interoperability for 3D ultrasound in the general radiology domain is less mature than in cardiology simply because radiologists see more 2D ultrasound images than dynamic 3D volumes,” says Verdonck. He notes that facilities can encounter interconnectivity issues since most PACS cannot handle 3D ultrasound appropriately. But as general imaging ultrasound moves more toward 3D and with DICOM standards in the final phase of acceptance, Verdonck believes that interoperability will improve. “Most radiology PACS do support ultrasound for general viewing, but we are still seeing ultrasound-specific mini-PACS gaining ground in general radiology due to limitations in older PACS,” Verdonck adds. But from a cardiology point of view, practitioners are heavily dependent on dynamic, moving images and quantification available through 2D, M-mode, Doppler, and now 3D cardiology. Because technologists do much of the preliminary reporting in cardiology, in the past, they would have to manually make note of the measurements and pass along the information to the physician. Now, with cardiology PACS, data are entered directly. “We’re seeing a big evolution in this area, with measurements performed on ultrasound systems which are directly imported into the cardiovascular PACS without limit,” says Taylor. In addition to the majority of facilities with DICOM-based systems, Philips also provides the capacity to work with facilities still using older systems through the use of digital character recognition. Taylor notes that five to six years ago, approximately 60% of the company’s users chose the DICOM option and currently 100% have it for 2D ultrasound and 94% for 3D. “It has evolved to where users have accepted the fact that DICOM is the way of the future with cardiology PACS,” says Taylor. Philips’ cardiovascular PACS tries to achieve connected workflow throughout the cardiovascular care continuum, allowing physicians to improve workflow through many modalities. “It can connect with ultrasound, cath diagnostic EKG [electrocardiogram], nuclear medicine, CT, MRI—all in one station—to improve access to the information. By connecting multiple modalities, it creates more efficiency,” says Taylor. Taylor notes that cardiology is ahead of the curve as far as ultrasound and PACS interoperability because of the use of 3D ultrasound. Verdonck sees a trend in general imaging moving toward structured reporting, with lessons learned from the progress in cardiology transcending general radiology. “It’s just a matter of time,” he adds. On the horizon, Verdonck foresees a focus on improving interoperability for viewing 3D images on radiology PACS and an increase in structured reporting for general radiology, acknowledging that ultrasound has been a driving factor in structured reporting for several years. One way of achieving interoperability between “mismatched” modalities (systems from various vendors) is by using products that incorporate an open architecture. Gordon Parhar, director of the ultrasound business unit, and Ivan Chu, product manager for healthcare connectivity, both at Toshiba America Medical Systems, Inc, say that ultrasound systems with open architecture enable interoperability with PACS. “You can plug an ultrasound or CT machine into whatever network environment you want; with open architecture, the user can choose the best imaging solution that makes sense for their circumstances,” says Parhar. In the past, Parhar says there seemed to be an attitude of “whoever owns the network owns the modality,” but DICOM and Integrating the Healthcare Enterprise (IHE) now serve as vehicles to facilitate how devices should connect with each other. DICOM standards and IHE bring all medical device and IT vendors together to make sure they are interoperable. Currently, DICOM standards exist for storing and viewing of static and cine ultrasound images, while standards for volume storage and display are still a work in progress. As DICOM standards evolve, they are incorporated into Toshiba’s open architecture to ensure that facilities encounter the least connectivity problems with their ultrasound and PACS. The outcome customers can expect is significant clinical workflow improvement and ultimately better patient care in their facility, according to Chu. “Modalities are the core competency of Toshiba, and the ability to compete in the same ‘connectivity sandbox’ with other vendors is our primary goal,” says Chu. Amy Rutledge, chief ultrasound technologist at University Hospitals Case Medical Center in Cleveland, affirms the fact that interoperability between ultrasound machines and PACS can be achieved without having to purchase a “matching set.” As a 947-bed facility, the ultrasound department is very busy, so having interoperable equipment makes a big difference in the daily workflow. “We’ve been using a Toshiba ultrasound system with a Philips Sectra PACS since 2004, and it has worked out great for us, especially in light of the volume we do at our facility,” says Rutledge. In fact, the facility previously had a dedicated ultrasound PACS, which she notes tended to slow the workflow quite a bit as the system became older because it took increasingly longer to retrieve images. The current mixed system provides an option that enables every type of image to be stored, including simple 2D images and volume Doppler. “For us, being such a large hospital and simply because of the sheer volume we do, a benefit is that we can compare so many types of images,” says Rutledge. In addition, because the system incorporates a Web version of the technology, images can be deployed to desktop computer monitors, enabling physicians in other areas of the facility to see what’s going on with a particular patient, which is especially valuable in the emergency department where patient-care decisions must be made quickly. Additionally, the facility’s PACS also incorporates Talk Technology, a speech recognition program for structured reporting. “This has absolutely increased workflow. Our reports used to have a 48-hour turnaround time, which is now reduced to 10 hours,” says Rutledge. As shown in Rutledge’s experience, with the right mix of technology and support, ultrasound and PACS can successfully interoperate, which helps the staff of today’s busy imaging departments but also, ultimately, improves patient care and outcomes. “All our ultrasound systems have DICOM out, and we can interface them to send images to [Siemens’] KinetDx [ultrasound PACS] and then to our general departmental PACS, which is a GE system,” says Steven C. Horii, MD, FACR, FSIIM, a professor of radiology at Philadelphia’s University of Pennsylvania Medical Center. Like many radiology departments where equipment might not all be from the same vendor, Horii has encountered some challenges with the systems’ interoperability. “A problem we’ve had is that not all studies make it over to the departmental PACS and show up as unverified, even though all the data in the system matches. We’ve tried a thorough examination of the DICOM headers to solve the problem but haven’t gotten around it yet,” explains Horii. Luckily, he says the vendors understand it’s a productivity and quality issue when those studies are not available outside of the ultrasound section and that the possibility of making errors increases, so they try to mitigate the problem. Because the medical center is a teaching facility, Horii sees a tremendous benefit of interoperability in the ease he experiences in retrieving previous studies. “With the [Siemens] ‘autofetch’ feature, it enables us to compare studies quickly, which is especially important at a teaching hospital,” he says. He also mentions the value of the teaching file in PACS, which generally acts as a major interface that enables him to access images from anywhere. Another example of how interoperability can improve workflow is in having a RIS that is interoperable with the ultrasound. The medical center uses GE’s Centricity RIS, which is interfaced with both the KinetDx PACS and the Philips ultrasound machines. This improves workflow and accuracy because DICOM worklists are generated through the RIS, which populates the ultrasound data fields automatically without a technologist having to retype information. Horii believes it is important to have a separate PACS for ultrasound because many major PACS don’t support ultrasound well for the kinds of measurements and manipulations physicians need access to. “For example, most PACS cannot remeasure Doppler wave forms and, for that, you really need a dedicated mini-PACS,” he adds.